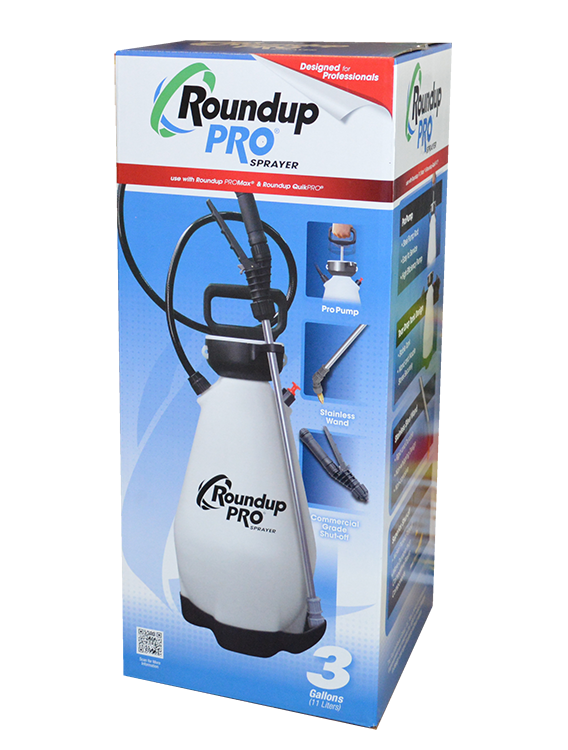 The Roundup Pro® 2-Gallon Sprayer uses our best, most efficient pump designed for commercial use - even with the harshest chemicals. It features a chemical resistant stainless steel wand and a shut-off with comfort grip, lock-on feature, and in-line filter. The Viton® gaskets and seals provide maximum chemical resistance and can be easily replaced in the field with no tools. The teardrop-shaped tank adds stability due to the lower center of gravity and includes built-in nozzle storage and protection. 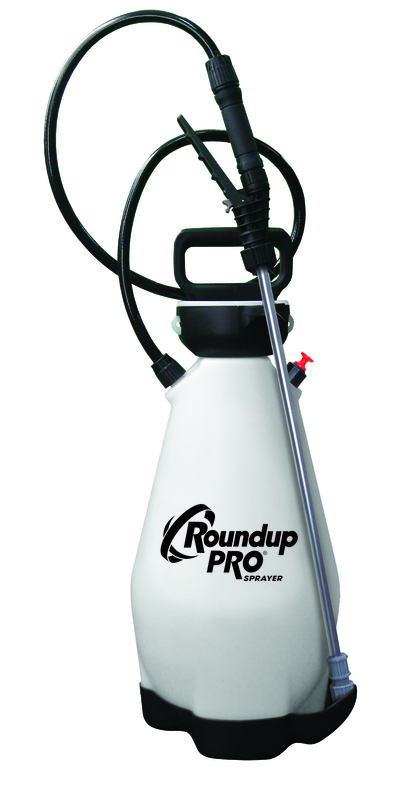 To offer the ultimate versatility, the 190410 sprayer includes 5 sprayer nozzles – adjustable brass and poly nozzles, high volume fan, low volume fan, and foaming nozzle. Follow the manufacturer's directions for mixing with Roundup® concentrates. 5 nozzles included: brass adjustable, poly adjustable, 2 flat fans, and foaming nozzle. Also accepts TeeJet nozzles.